"For him, the service of the nation is paramount. The principle of Antyodaya (uplifting the weakest sections of the society) is given utmost importance", he said about PM Modi. Union Minister for Science and Technology Harsh Vardhan said on Tuesday that India's image had improved at the international level under Prime Minister Narendra Modi and that he is a "divine gift" to the nation. "For him, the service of the nation is paramount. The principle of Antyodaya (uplifting the weakest sections of the society) is given utmost importance", he said at BJP's ''Vijay Sankalp Sabha'' in Delhi. 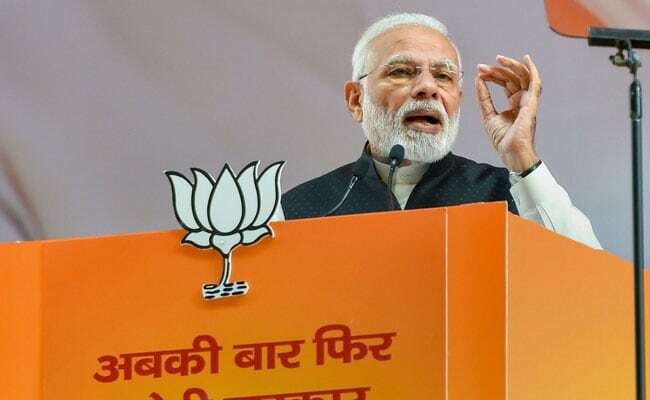 "The speciality of the Modi government is that he not framed the schemes, but also implemented them resulting in benefit to the poor and the backward people," he added. Dr Vardhan said the BJP stands for nationalism and is working accordingly. "This is the reason why the nationalism is gaining strength and the image of the country at the international level has also improved. There was a time when the US would refuse visa, but today it gives us a red-carpet welcome," he said while at the gathering in Delhi's Chandni Chowk.